If you are serious about saving money and increasing your auto coverage's bottom line, get a quote now! Do not settle for inferior vehicle insurance coverage at outrageous prices! Would you not prefer automobile insurance, great customer service, and a Chicagoland insurance agency that could help you save money and increase your coverage options - without costing you an arm and a leg? We provide Chicago and Illinois Auto Insurance service with a SMILE! That means we'll happily answer all your AUTO INSURANCE questions. Plus, you can get insurance over the phone TODAY - no delays. Our goal is to provide you with great rates on AUTO INSURANCE, friendly service and a payment plan you can afford. Whether you're looking for insurance for a new car or a better rate than you currently have, INS can work with you to find just the right plan. Your INS representative is as close as the nearest phone -- and we are open from 9 a.m. to 6 p.m. Monday through Thursday, 9 a.m.-7 p.m. Friday and 9 a.m. to 3 p.m. Saturday to assist you. We have offices in Chicago, Addison, Waukegan and South Holland, Illinois. Insurance National Service Agency Inc. 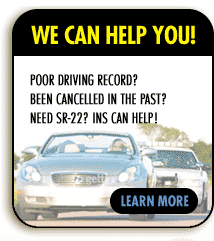 Affordable Quotes in Illinois with Insurance National Service Agency Inc.
Are you looking to save time and money while shopping for your car insurance? Well we all do that is nothing new. However what is the point of searching for Illinois vehicle insurance coverage online if the sites you are visiting don't have an instant policy issuance!